Arguably the greatest change we can collaborate on in bringing patients closer to clinical research is to make clinical trials a care option. Higher rates of clinical trial participation inside of a health system produces better patient outcomes, lower cost of care and happier patients. Health systems and patients get access to the latest research and pharma can get access to more patients in need of clinical research options. Clinical research is typically transactional and not integrated as part of a healthcare organization’s care options. Patients almost never learn about clinical research from their physicians unless their physicians are directly engaged in a clinical trials. 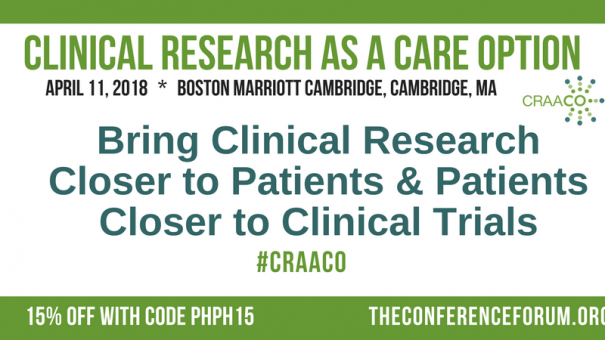 The value of integrating clinical research into the overall continuum of care is often lost on health care organizations and in this meeting, we address how to bridge the gap and overcome many of the obstacles.